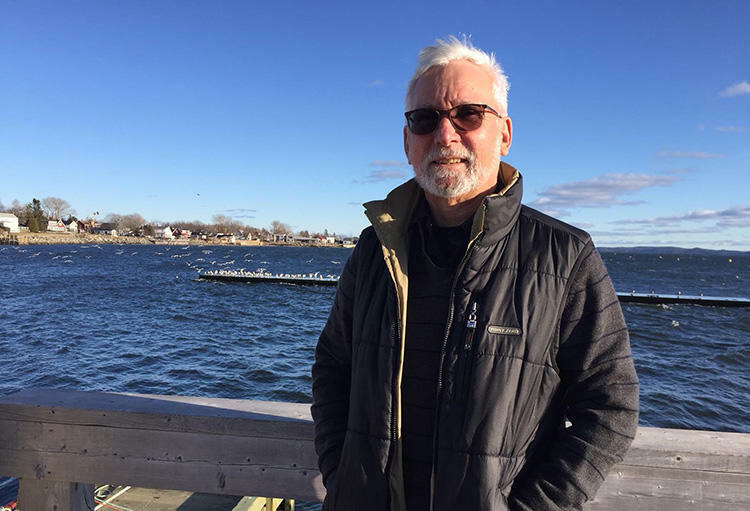 In this episode, I had the very great pleasure of interviewing Stan Choptiany, a former high school teacher, university professor, and mayor of St. Andrews, New Brunswick. I first met Stan in the classroom. He was my high school biology teacher, and I was lucky enough to have him for all four years of high school. Stan was the most inspiring teacher I ever encountered, and I credit him with being one of key inspirations for my lifelong passion for biology, ecology, and the scientific method. Stan started his career as a biologist and a biology teacher, where he taught science in several Ontario communities, finishing his teaching career as a lecturing professor with Laurentian University. Stan’s second career was in public policy and public service. Moving from Ontario to the community of St. Andrews, New Brunswick, Stan served on various public boards before being elected as a municipal councillor, and then mayor of St. Andrews. In these roles, Stan was able to provide important leadership for many social and environmental issues, most notably in his innovative work on climate change adaptation and the impact on St. Andrews of its associated sea level rise. In 2012, Stan was awarded the Queen’s Jubilee Medal in recognition of his leadership in serving the community in both New Brunswick and Ontario. In our interview, I spoke with Stan about his experience confronting climate change in both his role as the mayor of the ocean-front town of St. Andrews, and his role as a biologist and environmental activist on the front lines of environmental harm reduction, regeneration, and climate adaptation, and what advice he would have for someone setting out to make a difference in meeting the challenges of the 21st century imperative. I hope you enjoy our conversation. Craig Applegath: What advice would you offer listeners about what they can do to be part of making a difference in meeting the challenges of the TWENTY FIRST CENTURY IMPERATIVE? Stan Choptiany: I think that in conversations you and I have talked about my believing in “islands of decency”. You can surround yourself with, and you can build community with, people who share that sense of decency. Then, just like in an island where the waves come in, they rebound out, and you send out the reflections of those waves. Those waves affect other islands, and you have the opportunity, and Canada has the opportunity, of being a huge island of decency. So It comes down to this: I firmly believe that personal action matters, that you can’t give up and say, “Well, it’s too overwhelming.” I think that the local things that you do, and how you relate to people, and how you build your family, and how you include those, all matter. We know most of what we need to do. So, we need to start doing it! … And looking ahead to what are the opportunities that exist for us to live in a really wonderful world? I guess it comes down to: don’t give up hope. Know that you make a difference. It’s an exciting time. Craig Applegath: And finally, do you have anything you would like to request or suggest to the listeners of this podcast in helping them be better able to meet the challenges of the TWENTY FIRST CENTURY IMPERATIVE? Stan Choptiany: As it is with me and, I think, with most people, it’s a personal journey. If you’re listening this far, you’re already along in the personal journey. There may be something useful that I’ve had to say, but there’s probably lots of stuff that either you already know or that you may dismiss. But the fact that you’re involved in the process is in my view the right step, and it’s an important step. You’re questioning. You’re looking. You’re asking where you are and how you fit in. Then hopefully, you’re also asking: How do the people I love and the people I connect with – how am I affecting them? Where are they in their journey, and what parts of where and how I live in my community make a difference? If you like this podcast please use your iTunes App to rate this podcast. It will help us get the word out!